Whether you're hiking through the outdoors, or out picking food in your garden, or simply rummaging around in your yard, there's a good chance at some point you'll get bitten by bugs. 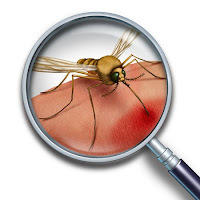 Mosquitoes, ants, spiders, ticks, bees, wasps, scorpions – you name it – sooner or later you’re bound to experience a nasty bug bite and the resulting pain, inflammation and incessant itching. Thankfully, applying colloidal silver can dramatically ease the pain, itch, redness and inflammation of bug bites and will help accelerate the healing process while simultaneously helping prevent infection from setting in. That’s because colloidal silver is not just an all-natural infection-fighter, but also a natural pain-relieving anti-inflammatory that soothes and heals skin problems with relative ease. 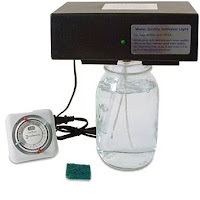 You can expect dramatic and quick relief from bug bites simply by spraying 10 ppm strength colloidal silver directly onto the bites and allowing it to air dry. Or, you can simply moisten a cotton ball with colloidal silver and place it on the bite, then cover it with a bandage to keep it in place, changing it out several times a day as the cotton ball loses its moisture. Better yet is to use a good, high-quality colloidal silver gel or cream directly on the bite (see Germ-Busting Colloidal Silver Gels and Creams). “Eddy, a friend, came over one evening. He was in considerable distress with bites from sand flies to his hands and arms. He had been out the evening before doing some photography on the beach. His arms and hands were red and swollen from the bites. Apparently the bites are worse than bee stings and can take a couple of weeks to recover from!!! I immediately soaked some ‘cotton wool’ with the micro-particle colloidal silver and applied it to the red areas. After a short time the stinging sensation subsided. I gave him some more colloidal silver to take home. He applied cotton wool soaked in the colloidal silver to the bites, using surgical tape to adhere it overnight. “My 9 year old son is very sensitive to ant bites. He was playing outside and didn’t realize he was on a bed of fire ants. He ended up with 12 bites on his legs, each of which flared up to the size of dimes. I immediately sprayed some 10 ppm colloidal silver on the bites and allowed it to air dry. Within 15 or 20 minutes he was no longer fussing from the itching and burning. But the bites still looked inflamed and seemed to grow redder. So I broke out some colloidal silver gel and slathered it onto the bites. “I am a mosquito magnet. My husband and I go places and he gets no bites, but I get LOTS. So I carry a little bottle of colloidal silver in my pocket and put a drop of it onto the bites. Most never itch again. If some continue to itch, I give it 5 or 10 minutes and apply another dab of colloidal silver water. “A few days ago I was attacked by a nest of wasps. I was bit 4 times. In the past, I have ended up in the ER over bites. But, all evening long I compressed the wasp bites by soaking some cotton balls in colloidal silver and then taping the wet cotton balls directly over the bite sites. I changed them out every hour or so with freshly soaked cotton balls. “I was barefoot and stepped on the scorpion in the dark. When I got the light on it was standing facing me with its tail raised as if to dare me to try that again. I was able to capture it and looked it up on the internet, to find a photo identifying it as the most dangerous scorpion in Arizona and recommendation to go to the ER. Pain, swelling and redness at the bite site began to spread. But at that particular time I was getting ready to move and had turned off my phone and sold the car. So, having no way to get to emergency care, I put colloidal silver in a dish big enough to fit my toes in, settled down to Facebook, and sat the rest of the night with the front part of my foot dangled in the colloidal silver. So there you have it. If you get a scorpion sting and you’ve got no way to get to an emergency care facility, this nifty little idea might buy you the time you need, or even save you from an evening of growing pain and inflammation. “When I was visiting the Caribbean some years back, during the off season, our room in the highly rated hotel we stayed at was full of tiny spiders. Apparently, when guests are infrequent, the rooms aren’t cleaned as often, and the spiders move in. The little critters didn’t bother my wife, for some reason. But they sure liked me. I’d wake up in the morning with spider bites from my ankles to my knees. It was awful, because while they were very small bites, they turned bright red and itched like crazy. So I broke out the colloidal silver we’d brought, and began spraying it on the spider bites whenever they’d start to itch, allowing it to air dry before dressing. And not only was the relief immediate, but it was fairly long-lasting, as well – often, the itching didn’t start again for four or five hours. And when it did, I simply repeated the process. Most importantly, recent anecdotal accounts demonstrate that colloidal silver can help heal even serious spider bites, such as those from Brown Recluse Spiders. As you can see, colloidal silver works amazingly well for bug bites of all sorts – even serious spider and scorpion bites. And thankfully, colloidal silver is not hard to find. In fact, it can be purchased at just about any local health food store, or through a number of online sources including Amazon.com. But thankfully, there’s no need to pay such exorbitant prices for colloidal silver, when you can make your own, quickly and easily, in the comfort and privacy of your own home, for just a few pennies per quart.